So does that mean we need to sign up for both? Netflix UK offers nearly twice the amount of TV seasons as Lovefilm in the UK, but the Amazon-owned streaming service spanks the newcomer in terms of movies, new figures have revealed. 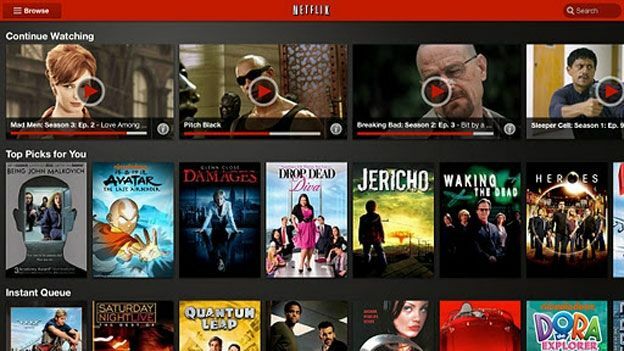 Data obtained by Oric, a British company that clues viewers in to how they can legally watch films and TV shows online, found that Netflix UK has 2,593 titles up for grabs. That breaks down as 1,668 films and 925 TV shows. While Netflix is still building its British arsenal, the tally compares quite unfavourably to what US customers are receiving, with a total of 14,142 titles available for Instant Streaming. Lovefilm, on the other hand, offers a far better selection of full-length movies than Netflix UK, with 3,284 movies available on demand, but there are only 589 TV seasons. Brits have so far had to make a careful choice over which service they'd like to subscribe to. As there's a ton of overlap between the two, paying £6 a month for both seems a folly. However, now the choice is clearer. If you're a movie buff? It's Lovefilm. If you like to spend your weekends in front of TV seasons? Go for Netflix. If you're still undecided, check out our Netflix vs Lovefilm head-to-head.